Now this is the kind of release I really made DVDExotica to cover. Yeah, I'm following up my last post with some more imported Werner Herzog, but features some even rarer films, on this very cool, widely overlooked release. 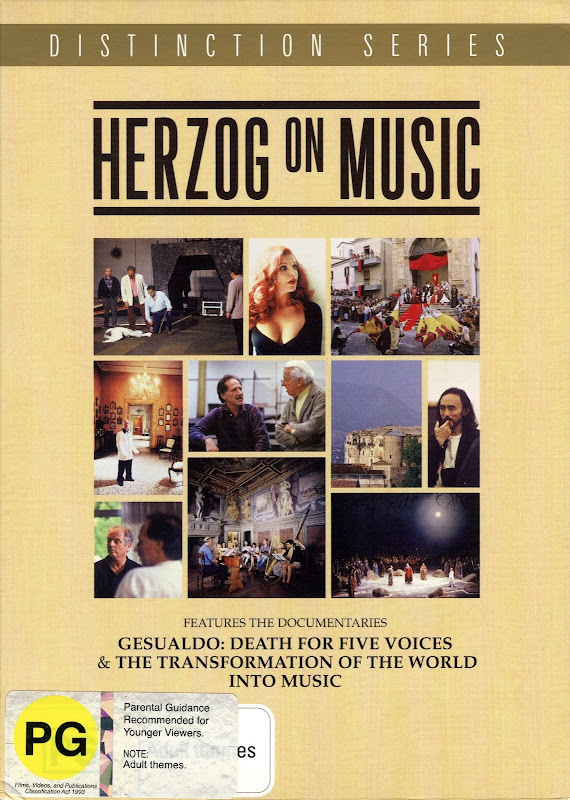 It's a little boxed set called Herzog On Music from 2008, only released in Australia, and at this point out of print and a little hard to find, but a must for serious fans. 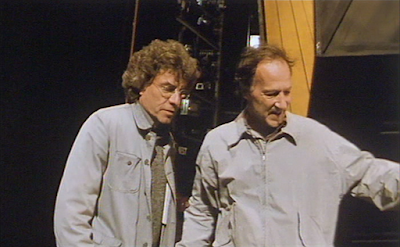 It's a two-disc set of three Herzog films, one of which isn't particularly rare at all. But the other two? That's where things get exciting. No, they're not in Shout's big boxed set, or BFI's, or even the one Herzog sells directly from his own website. They've only ever been released by Shock. So let's start with the not-so-rare one. 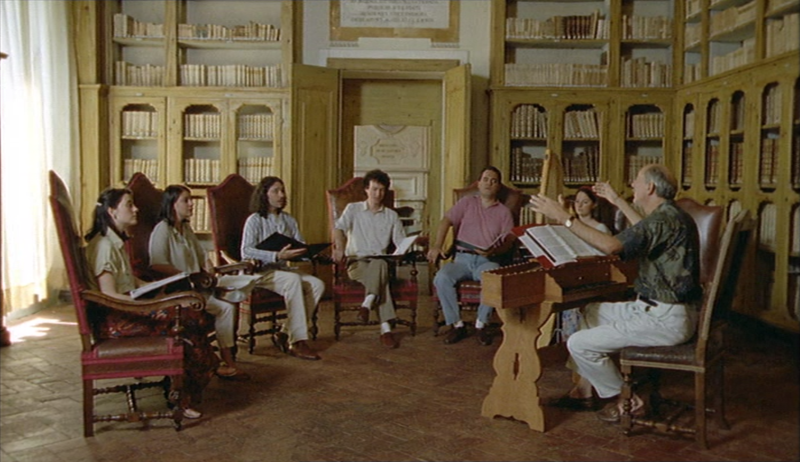 The main feature on disc one is a 1995 documentary called Gesualdo: Death for Five Voices. Carlo Gesualdo was a 16th century Italian composer who was apparently an insane murderer as well as a musical genius. Herzog spends most of the time exploring the Gesualdo castle, interviewing locals, filming concerts and yes, pursuing a woman who claims to be Gesualdo's wife resurrected. Sure, you'll enjoy this documentary more if you have a real interest in this centuries old music, but you know Herzog infuses a lot that will be of interest anyway. 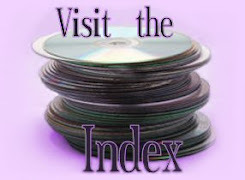 Gesualdo was originally released on DVD in the US back in 2002 by Image, a disc I used to own. 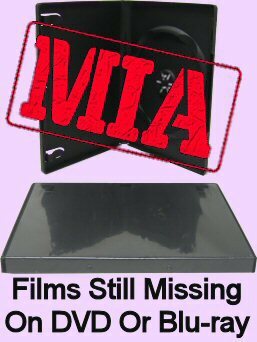 Unfortunately I sold it off long before started this site, but from memory it was essentially the same as the Shock disc: anamorphic widescreen and barebones. Then Shock released it in 2008, of course. And more recently, Art Haus released it on DVD and blu in 2016. It's a blu I was seriously considering getting myself until DVDTalk revealed that it was an upscale and that the audio commentary promised on the packaging doesn't actually exist and it's as barebones as ever. Apparently, it has better audio options, but in this economy, that ain't enough. The packaging lists this film as 1.33:1, but happily, it turns out to be properly anamorphically widescreen at about 1.73:1 when you actually play the disc. I never did a proper comparison, but I did stick the Image disc and the Shock disc in my player one after the other and concluded at the time that they looked identical for all intents and purposes. This disc is not interlaced or anything like that. It does look soft and compressed, just like the Image disc, which is why I had high hopes for the blu-ray. But if it's an upscale of the same transfer, might as well just stick with this disc set. Especially since you'll want to get this release for the other two films, anyway. Also like the Image disc, Shock's DVD features just the English audio track, with Herzog oftentimes translating the Italians' spoken dialogue as part of his narration. That's where Art Haus apparently excels, including the English track, the German track where Herzog does his narration in German, and a third track that leaves off his narration and lets you hear the original speakers uninterrupted. 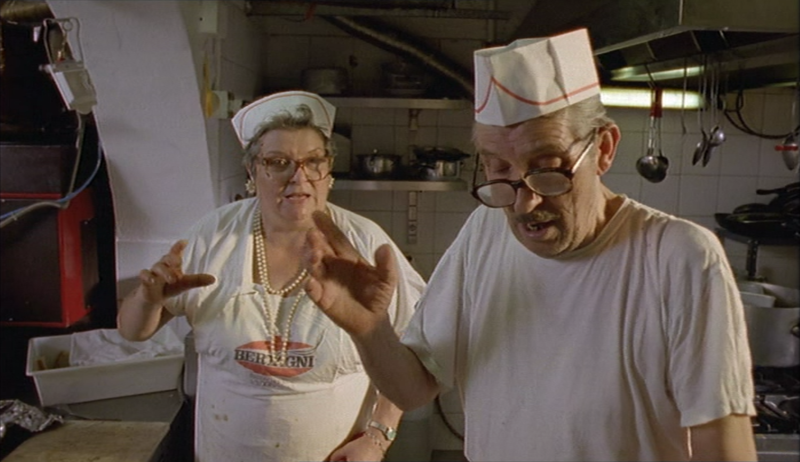 The subtitles are only in French and Spanish, though, so really the additional audio choice is more of a novelty than a worthwhile way to view the film. Oh and no, none of the releases of this film ever had any extras, not even a trailer. Well, unless you consider the fact that it has the second film of the set, a never before or since release Herzog documentary called Pilgrimage on the same disc as an "extra." Then it has one of the greatest extras of all. 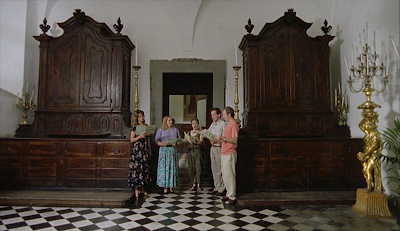 And before you get concerned about two films taking up too much space being on the same disc, Gesualdo is only an hour long, and Pilgrimage is a short, clocking in at just over eighteen minutes. So that's not a problem. 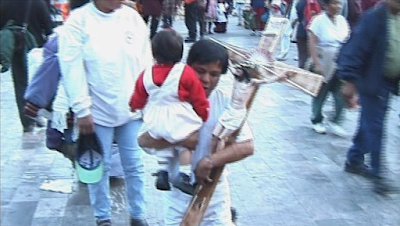 Pilgrimage is what it sounds like, a documentary look at people going on religious pilgrimages in Mexico and Russia, made for the BBC in 2001. True, it has nothing to do with music, so if you're wondering why it's in a set called Herzog On Music, it's because this is an entirely word-less film, and all we hear is the music of BBC Symphony Orchestra. But there's some gripping footage of people crawling across lakes of ice and traveling miles on their knees, and you know Herzog is a master at marrying image and music. It's definitely reminiscent of pilgrimage sections he'd later capture in Wheel Of Time. Pilgrimage is widescreen at 1.77:1, but unfortunately, as you can see in the first shot above, it's not anamorphic, so it's a small SD image floating in a sea of dead space. But what're you gonna do? Watch this on another company's release of Pilgrimage? It doesn't exist, so like it or lump it. Otherwise, the picture's not too bad. Some scenes have interlace combing throughout every frame, as you can see in the second shot, but other scenes don't have any at all. This leads me to believe it's just a question of cheap, low quality camcorders having been used to capture some of the footage on location. 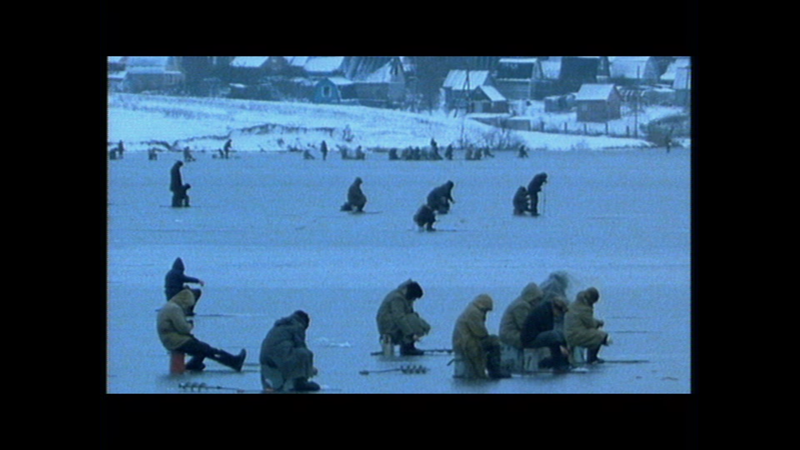 It's a documentary shot on the spot in some far corners of the world back in 2001, so you're gonna get that sometimes. Still, there's no reason the footage couldn't have been encoded anamorphic. Anyway, there's just one basic audio track and no subtitles, since, again, there is no spoken language in the movie at all. Also, there are zero extras. It's almost more of an extra in itself. Finally we come to the third film, a feature length film that hasn't been released anywhere else in the world. 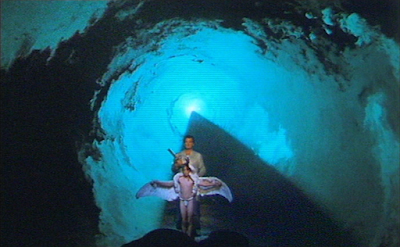 It's called The Transformation Of the World Into Music, a 1996 documentary made for German television. It's a behind-the-scenes look at the production of three Wagner operas at the Bayreuth Festival. 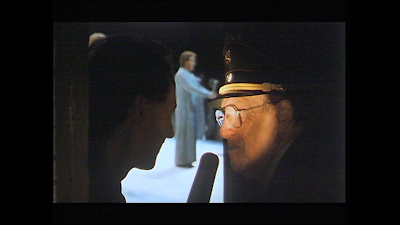 You can see Herzog is a great enthusiast as he interjects himself behind the scenes, interviewing the actors and directors, intercutting rehearsal and performance, snooping around the theater after dark with a flashlight and even surreptitiously whispering with the crew hunkered down in the dark during major productions. It almost feels more like a Wiseman documentary, except intrusive with a healthy dash of Driving Me Crazy thrown in. 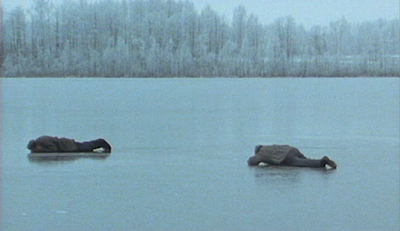 Even if you're not fussed about opera, the impressive set-pieces and Herzog's enthusiasm will keep you entertained. The back of the case again claims to be 1.33:1, which I guess this time is technically right if you count the non-anamorphic dead space. But really the film presentation here measures an unusual 1.62:1. It's a bummer this one's non-anamorphic, but otherwise it's not bad for DVD. 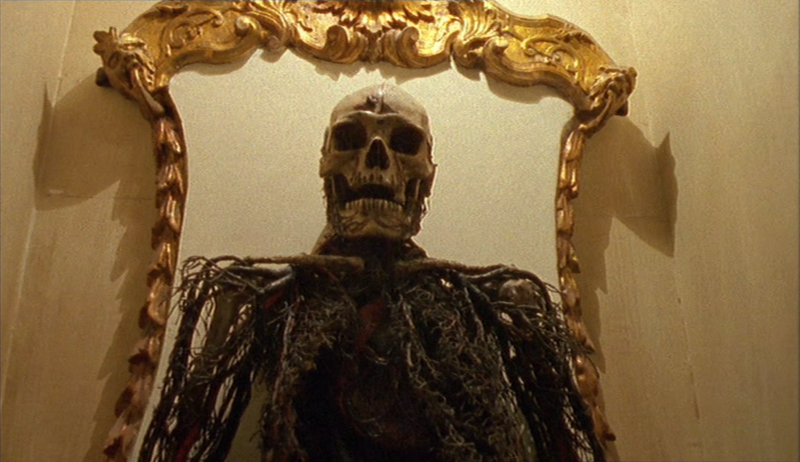 It's not interlaced or anything, and the picture looks like a fairly faithful capture of the original film image. The film is presented in the original German with optional, removable English subtitles. A few scenes, where the interviewees speak English, have burnt in German subs, but those moments are few and far between. Again, there are no special features. Now, as I've said, Pilgrimage and The Transformation Of the World Into Music are only available on these OOP, region 0 discs from Shock. But, strictly speaking, they're not only available in this Herzog On Music set. 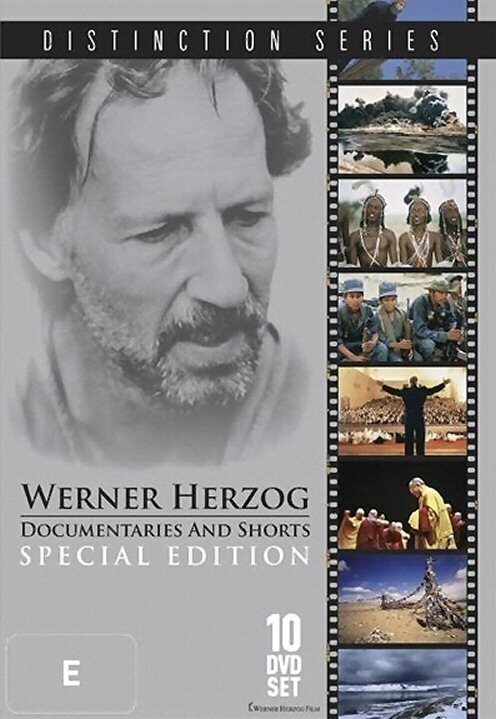 In 2009, Shock released a big, 10 disc boxed set called Werner Herzog: Documentaries and Shorts, which included these two discs repackaged along with 8 other discs worth of Herzog docs. But that's equally out of print, plenty more expensive, and you'd mostly only be adding a bunch of other Herzog films which have seen much better releases. So it's certainly not a bad set - very much like the box Herzog sells directly from his site, but with a slightly altered selection and fewer international language options. It even has a couple of unique special features. So you might want to spring for that if you're a completist. But for most people, especially anyone who already owns a lot of the other films, I'd recommend picking up the smaller, cheaper Herzog On Music box for the exclusives, and then getting the other films via other releases. 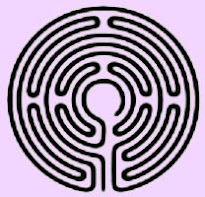 But either way, to get Transformation and Pilgrimage, these Shock discs are your only option; and they're really good films, so it's worth the trouble.